Product prices and availability are accurate as of 2019-04-14 21:21:28 EDT and are subject to change. Any price and availability information displayed on http://www.amazon.com/ at the time of purchase will apply to the purchase of this product. 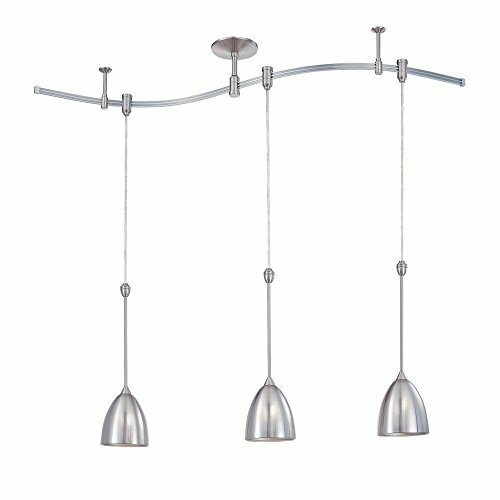 Kendal Lighting RPK80-SN Pendant 3LT 4FT 120V Rail Lighting Kit will add a contemporary element to your interior with the sleek, modern styling and classic Satin Nickel finish. 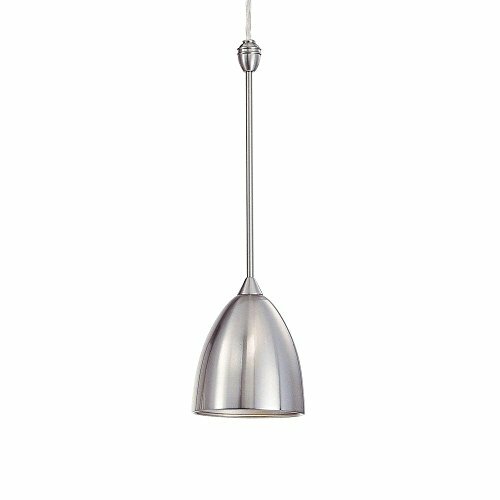 The uncomplicated, simple pendant heads provide 150W of bright, crisp halogen illumination and the rail portion may be installed straight, or curved, to individualize your look. 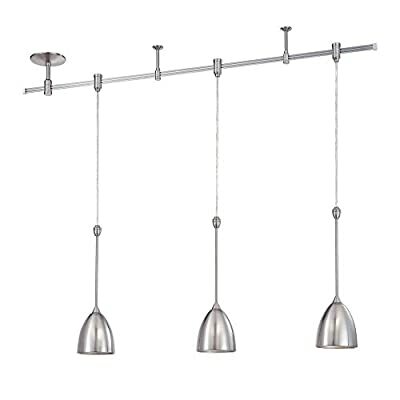 The RPK80-SN is 48IN long x 5IN wide x 24IN tall and has a maximum overall hanging height of 136IN. The RPK80-SN comes one per package and includes three (3) 50W GU10 base halogen lamps, dimmable using a standard incandescent dimmer. Kendal Lighting Inc. was established in 1985 as a leading edge Ceiling Fan provider bringing new designs to the marketplace. Our catalogue of lighting ideas has since expanded through the consistent addition of new and innovative products. Today, Kendal Lighting quality and design can be found in many areas of Lighting including Fans, Fixtures, Lamps, Track Lighting and Rail Systems.